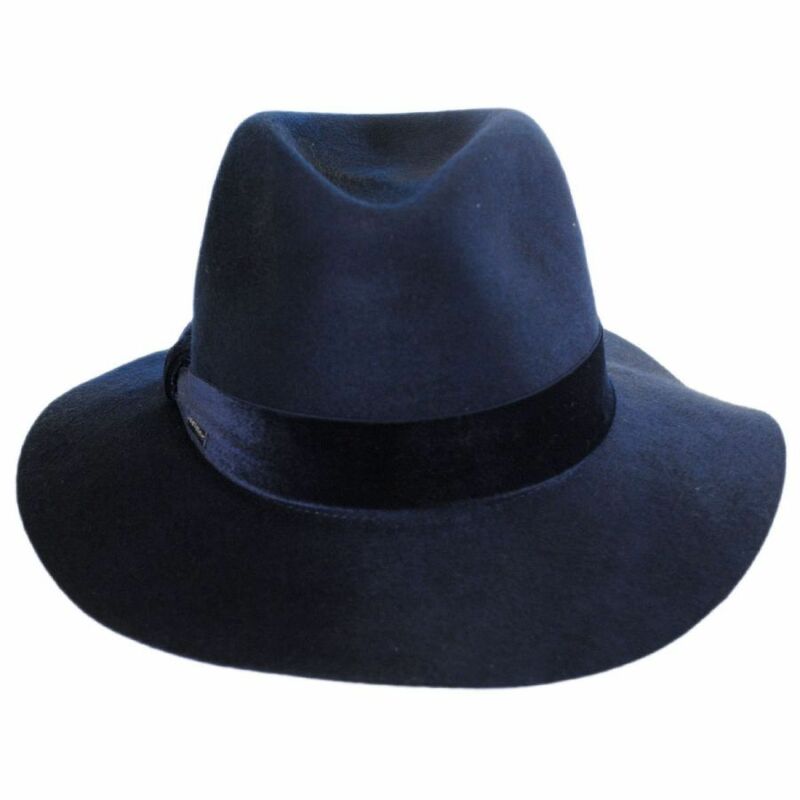 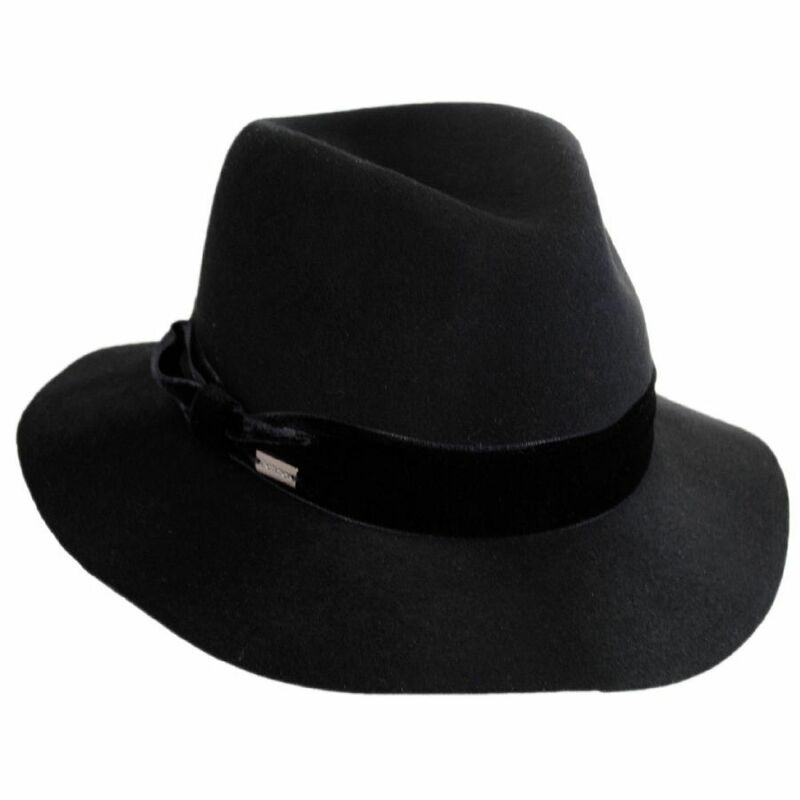 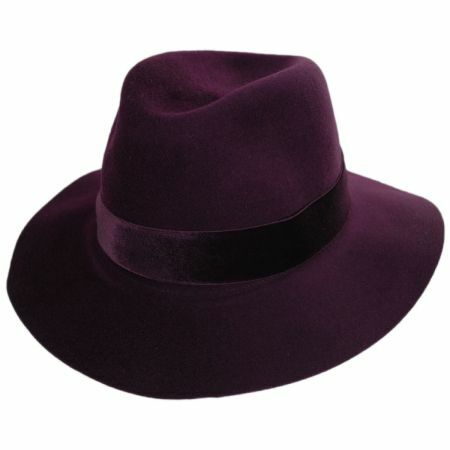 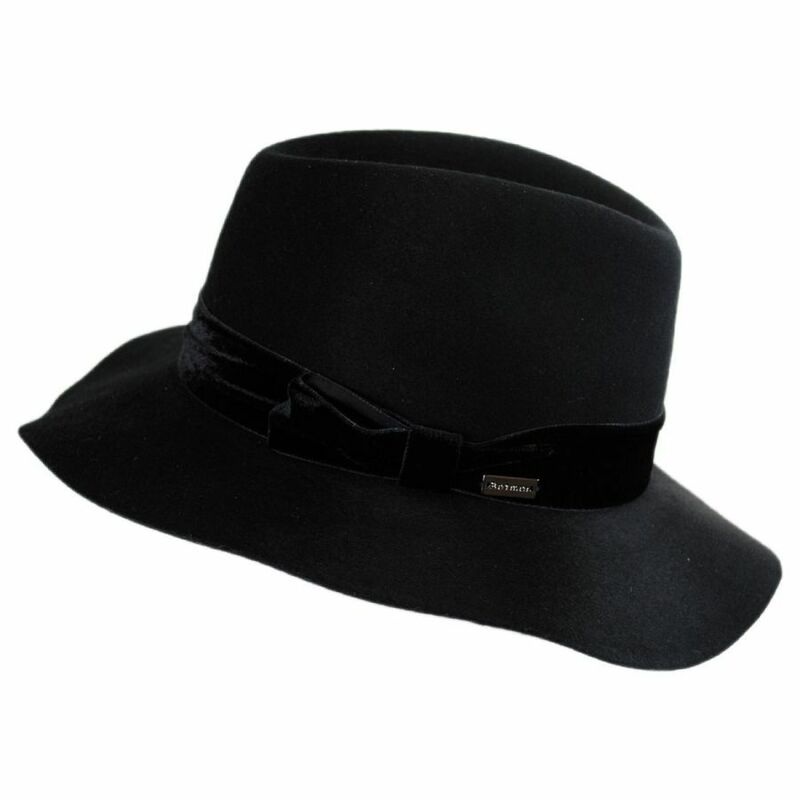 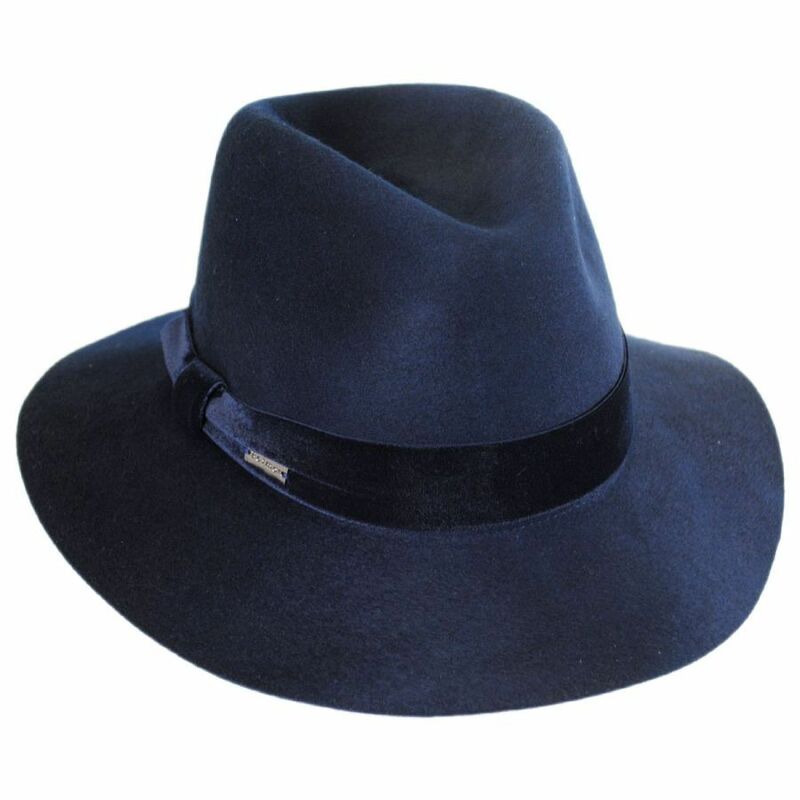 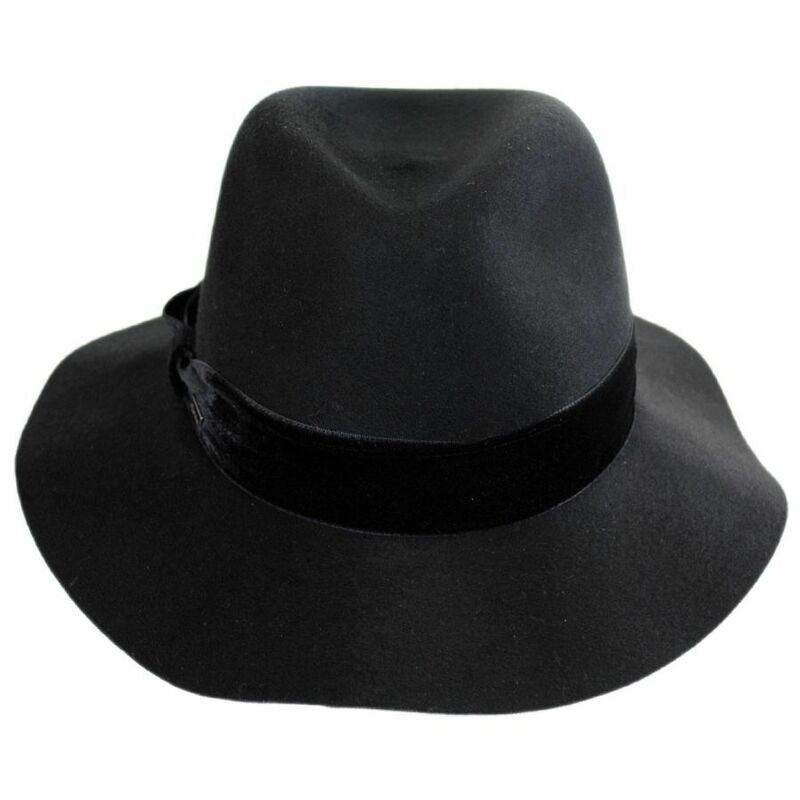 Featuring a luxurious velvet hat band and their famously soft, packable and water repellent LiteFelt® finish, the Izette II Wool Felt Fedora Hat by Betmar is a gorgeous new fedora style for women. 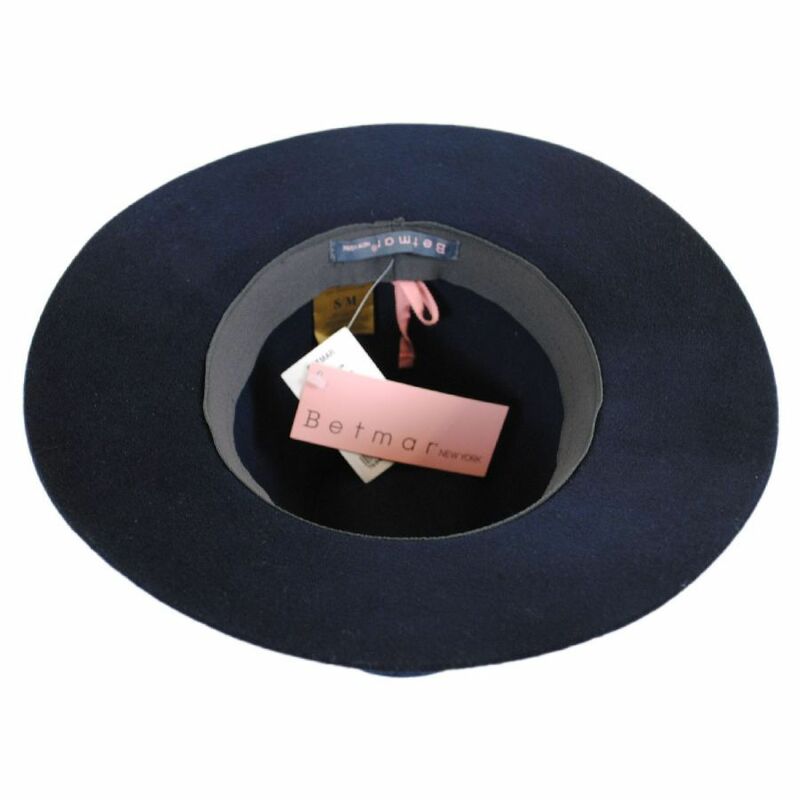 Crafted in the USA of the finest wool, Betmar's Izette II features a lustrous, brushed finish for superior softness. 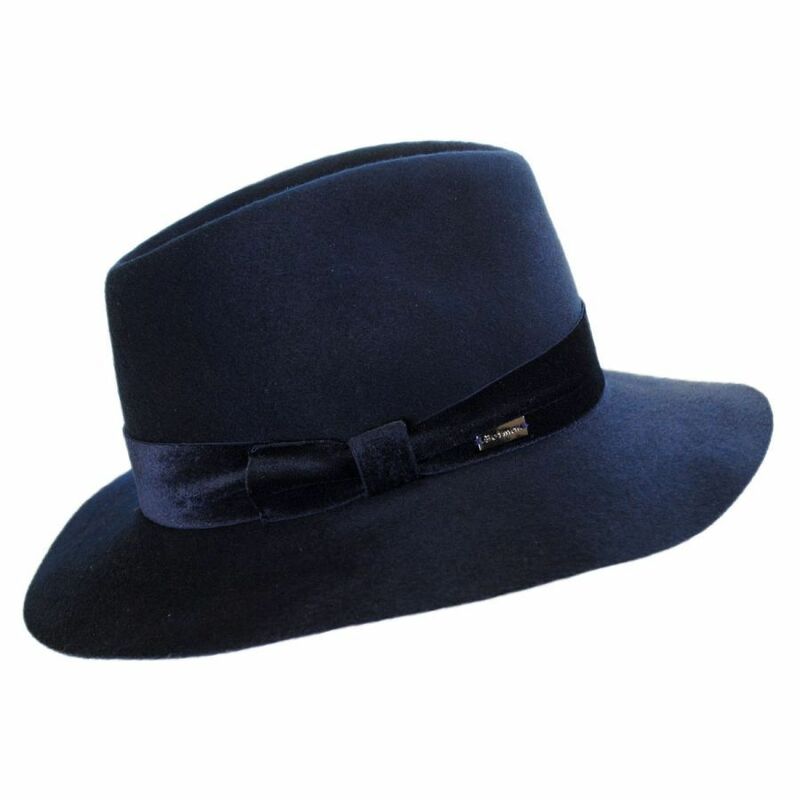 Its classic pinch front crown is accented with a tonal velvet hat band that gently pleats and folds over at the side; a small metallic Betmar side pin completes Izette's sophisticated look. 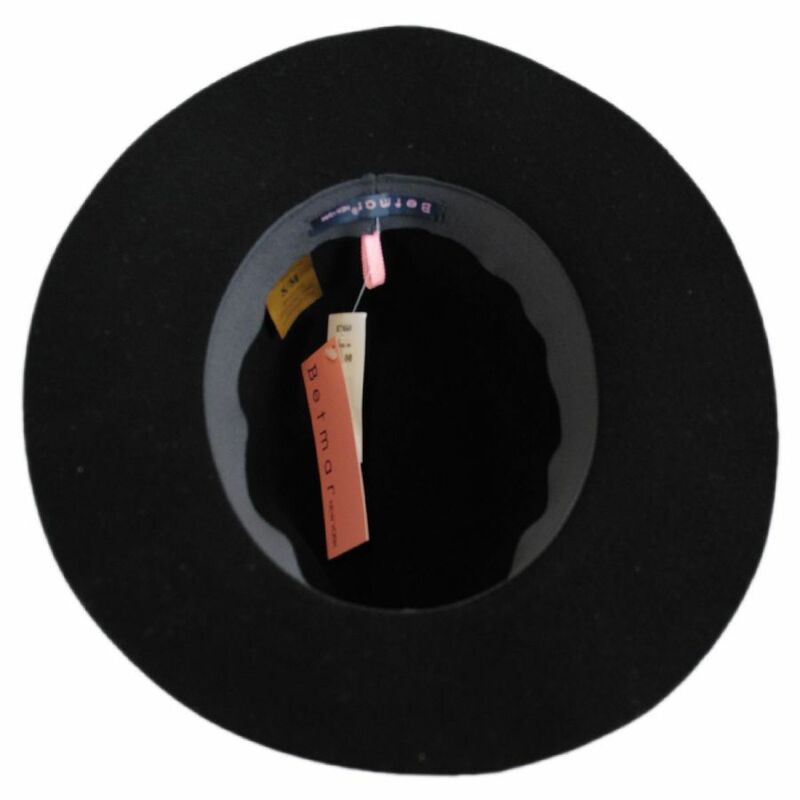 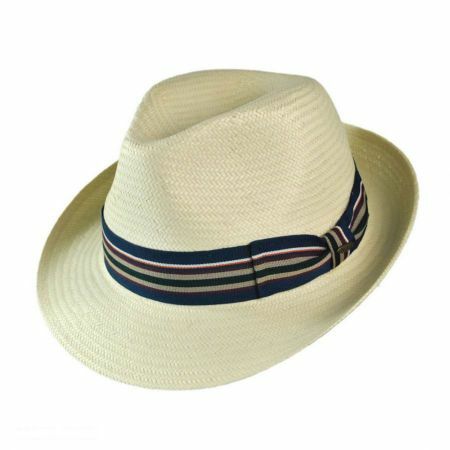 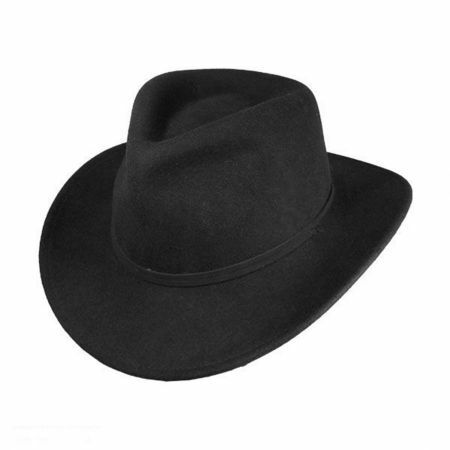 Finally, its ample brim features a sleek, raw edge brim that gently flops for a flirty and feminine touch. Sizes: S/M fits sizes 7 - 7 1/8 comfortably; M/L fits sizes 7 1/8 - 7 1/4 comfortably.